I'm friendly, intense, energetic, intelligent, and obsessed with planning. Even with all that, last year my blog stats were low. Really low. I had a core group of fans (my Loyal Readers), but that was it. No one else even knew my little blog existed. In the past few months, I've changed that. My stats went from the 1,000s to the 50,000s and climbing! My secret for blog readership growth is pretty simple. I played to my strengths. I'm social, so I created a Facebook group for my blog, got way more active in my niche, and started activity participating in bloggers' groups. I'm intense, so I created a more active blogging schedule, focusing on my core niche Monday, Wednesday, and Friday, but adding other topics on other days (like today's Saturday Technology Day, when I talk about blogging and using technology to make life simpler). I'm energetic, so I put time into socializing and commenting on linky parties and other blogs. I also spent some time creating better content. I'm intelligent, so I learned some basic technical stuff, including simple coding, making Rich Pins on Pinterest, and automatic scheduling of blog posts to social media. I'm obsessed with planning, so I made a plan to advertise and monetize my blog, set goals, and worked hard to reach them. What are you good at? Writing? Lists? Funny stories? Socializing? Creating one-on-one relationships? Photos? The first step in growing your blog is to figure out your strengths. Create a plan that is easy for you. Stop trying to do every trend that pops up and spend your time on the ones that you can ROCK! If you enjoyed this post, do me a solid and share on social media! Following every new trend really doesn't work and it often causes a blogger to loose his or her unique voice. Been there, done that (and seen it happen to a lot of people). I have to admit that just sticking to what I'm good at never really worked for me. I've always blogged for a rather small audience (1,000s? I wish!) and that makes it harder to keep going (especially when life gets overwhelming), so I've been quitting and starting again a lot. But... come to think of it, the times when my stats were higher were also the times when I had a plan and if I had a plan it would be easier to blog regularly (it was back then). So I guess if I want my new blog (about planning - I couldn't resist any longer) and my old personal blog to grow I need to make a plan again and work from there. Are you a member of my planner blogger support group on Facebook? Our blog sizes range from tiny to way-huger-than-mine, but it's a nice little group! 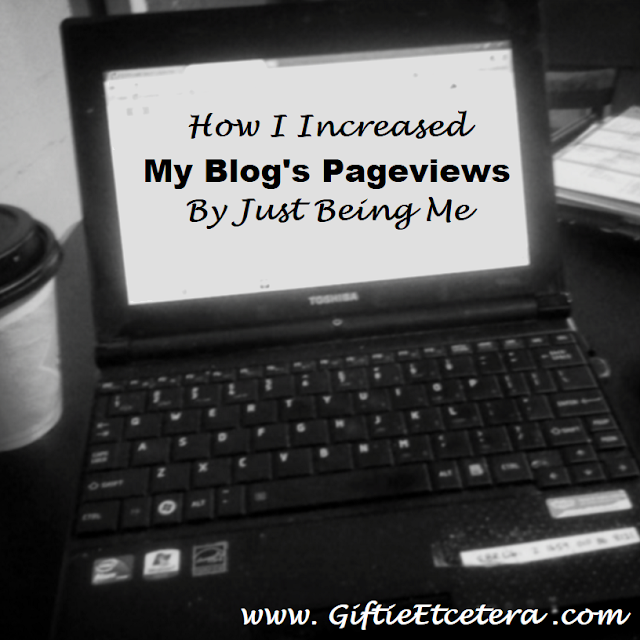 I pulled my blog from view this morning. One topic - the remodeling of my house - is going to be the subject. My tabs are: Home, Blog, and The Grande Dame. The latter is the tab to the long story. I have enough material there to work into at least a half a dozen blogs, if not more! So, I have blogs to write so there's actually something to read in just a few minutes, rather than that one extremely long post. I also have dozens of photos to take. I can't believe how much better my blog looks with just a few changes! I don't know why it's taken me so long to see that my ADHD brain is a major hinderance to getting my online world organized! I may try to log in to Facebook from somewhere else, but I haven't found the right spot for that yet. Great post. These are all things I need to keep in mind as I look to grow my blog even further. Awesome advice. That's a big jump in stats. :) I think we can remember this in a lot of life- play to your strengths. WOW! I really needed to read your great post. I am going to start making a plan and building from there. Thanks for the great tips. I love that you recognized your own strengths and built on them from that perspective. I've never really thought about it that way. Thanks for the new way of looking at it. Love this! Thanks for linking up to Meetup Monday! I've been blogging for about a year now, and my pageviews are really low. But I have finally figured out the posts that I love to write about, and have stopped trying to figure out what the trends are. Now it is time to start making goals. Thanks for sharing your experience! I ended up losing my voice for a while, so now I'm trying to find it again. I know I'd do much much better with a plan. Great tips. Thank you! that's a huge leap in reader numbers and it's nice to see that you did it by playing to your strengths and not just using a formula. Great advice! I have a blog launching on January 1 and this is very helpful. Thank you for sharing! Great tips that we will be implementing right away. And pinning this to our super-secret board on Pinterest. ;-) We heart you. I think these are some great tips and thanks for sharing! I'm still trying to get the hang of all of this stuff. So thank you! I loved this: 'Stop trying to do every trend that pops up and spend your time on the ones that you can ROCK!' I think that is some great advice that I need to follow. Thanks for sharing these very helpful tips! So glad to see it's not all about the numbers. Loved your blog, lots of great tips. I'm working on growing my numbers now. It has been a rough road. My strength is that I love creating things and sharing them. I'm not a great writer, and I'm shy. So I just do what I love and share in my own voice. Recently I started setting small blog goals, and I sure wish that I had started that a long time ago. They seem to help me get things none by holding myself accountable. Now I got to work harder on my Pinterest, and get ahead on my blog post. Thanks for the great tips! This is great advice!! So much goes into doing a great blog and your post is perfect!! OMG --- I was just talking to God as I drove my car back from visiting my dad (yes, I talk to God when I drive) And I was saying "I want more pageviews. A LOT more!" And then I saw this post. AWESOME!!! And I noticed my blog hop - Wonderful Wednesday - on your list. DOUBLE AWESOME! I am so glad you come to my party. I may already be following you but if not I will be in just a few moments. Great advice. Thanks for linking up with us this week. Great tips! Thanks for sharing at My Flagstaff Home! Lots of good info here..,the only thing I'd add is to be consistent and diligent. Blogging is certainly no get-rich-quick scheme. Thanks for sharing your post at Coffee and Conversation last week - we'll be featuring it tomorrow! !